Last night Sandvik Coromant, a global leading supplier of cutting edge tools, tooling solutions and know-how to the metalworking industry, lit up the Chicago skyline with insightful images designed to spread the word about the profound impact data and technology has on the manufacturing industry and people’s daily lives. 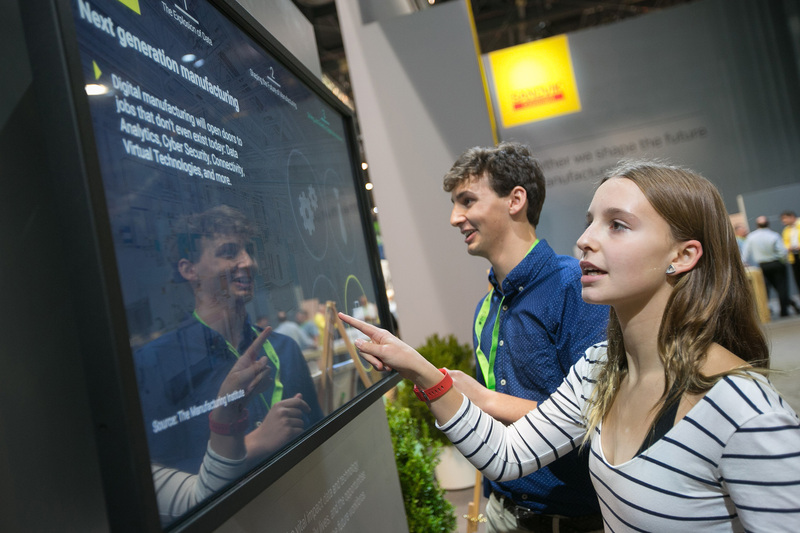 The display also included inspirational images depicting the future of digital manufacturing created by Samuel and Erika Flickinger, a brother and sister from Decatur, IL. The two students, who participated in STEM education “Dream It. 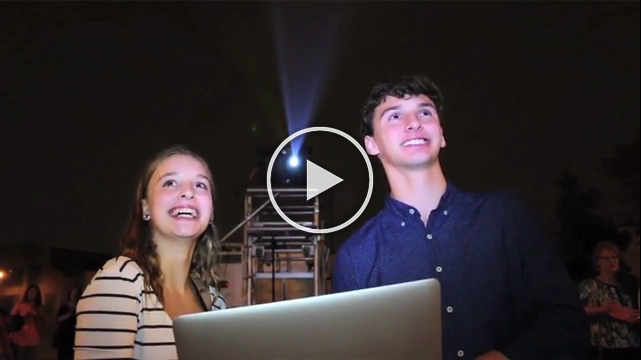 Do It.” summer camps created by The Manufacturing Institute, literally helped ‘flip the switch’ on the light show and also each received a $1,000 check toward their future education. 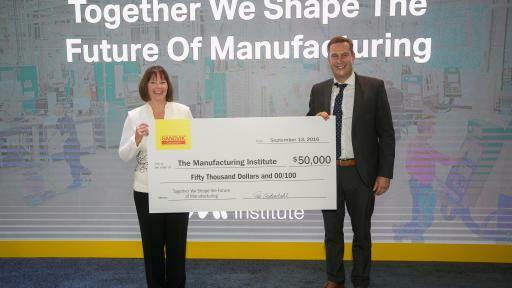 As part of the campaign, Sandvik Coromant donated $50,000 to The Manufacturing Institute, (the Institute), a 501(c)(3) non-profit-organization, which will help enable hundreds of students to take advantage of STEM education opportunities including a series of special summer camps as part of their “Dream It. Do It” program. 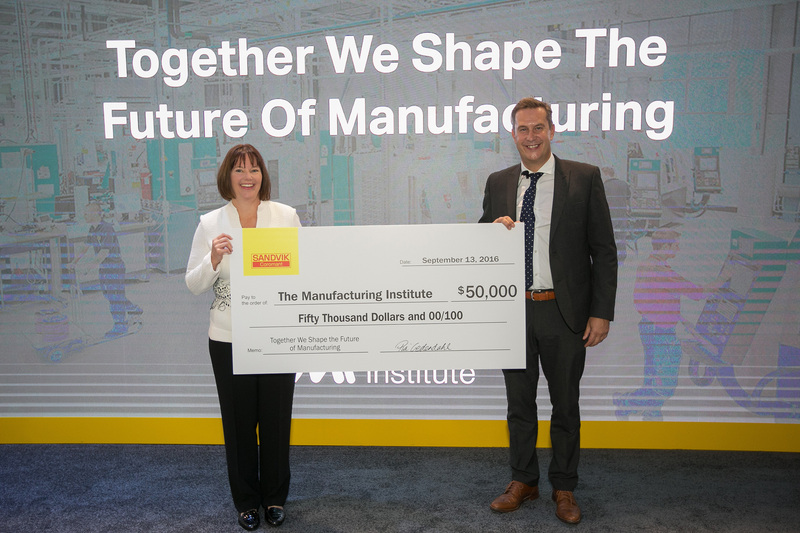 Committed to delivering leading-edge information and services to the nation's manufacturers, the Institute remains the authority on the attraction, qualification and development of world-class manufacturing talent. 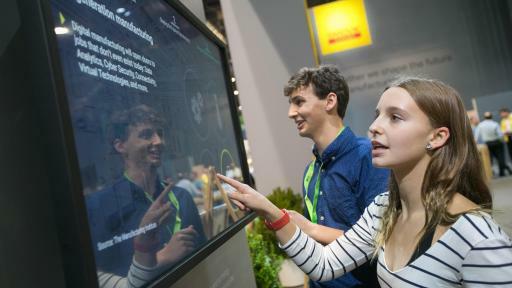 Students participating in The Institute’s ‘Dream It. 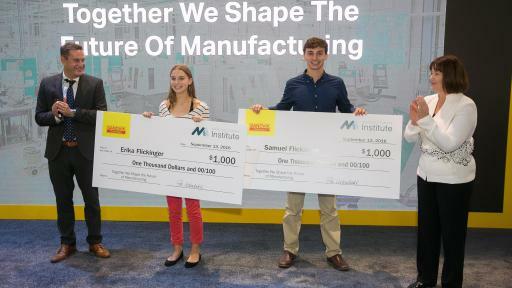 Do It.’ summer camps in Connecticut and Illinois were invited to submit original artwork depicting their vision of the future of manufacturing. 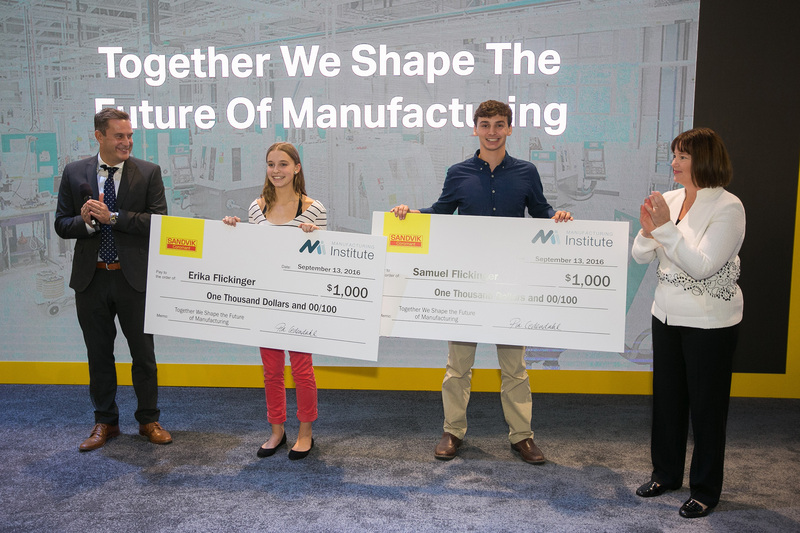 The winners, Samuel (16 years old/12th grade) and Erika (12 years old/7th grade) Flickinger, were selected from dozens of entries based upon their artistic vision and incorporation of ‘manufacturing of the future’ ideas and messages. 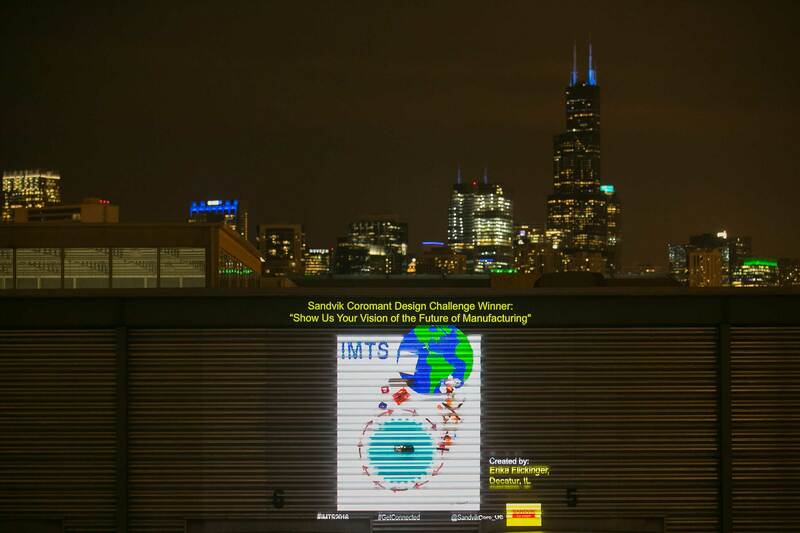 The winning images were projected onto the walls of the Digital Manufacturing And Design Innovation Institute, a unique public private partnership located in Chicago that is transforming American manufacturing to be the most competitive in the world through adoption of digital manufacturing technologies. Learn more at www.uilabs.org and www.dmdii.org. 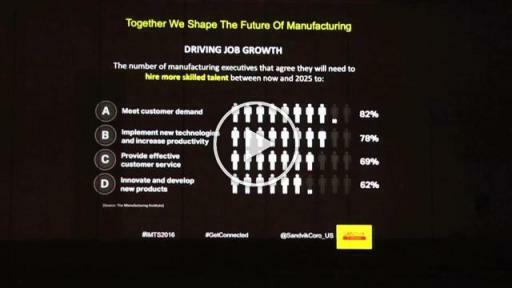 For more information, visit www.themanufacturinginstitute.com and Sandvik Coromant at www.Sandvik.Coromant.com. Part of global industrial engineering group Sandvik, Sandvik Coromant is at the forefront of manufacturing tools, machining solutions and knowledge that drive industry standards and innovations demanded by the metalworking industry now and into the next industrial era. Educational support, extensive R&D investment and strong customer partnerships ensure the development of machining technologies that change, lead and drive the future of manufacturing. Sandvik Coromant owns over 3100 patents worldwide, employs over 8,500 staff, and is represented in 150 countries.